2018.11 We participated in "JIMTOF2018 The 29th Japan International Machine Tool Fair".Thank you very much for coming to our booth. 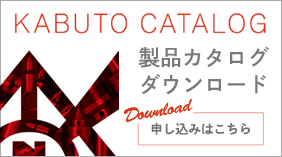 2018.10 We've posted the latest of our product catalog. 2018.06 We participated in "JIMTOF2018 The 29th Japan International Machine Tool Fair".Thank you very much for coming to our booth. 2018.05 The KCW series has been out of print. We will terminate sales as soon as stock runs out. 2017.10 We'll be participated in "MECT2017　MECHATRONICS TECHNOLOGY JAPAN2017". 2017.01 We released a promotional video on "Youtube". 2014.11 We participated in "JIMTOF2016 The 28th Japan International Machine Tool Fair".Thank you very much for coming to our booth. 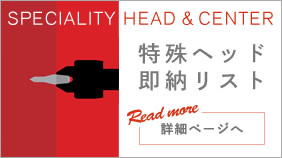 2016.09 We released "Specialty head & center instant delivery list". 2016.09 We renewed our website. 2016.01 We renewed our website. 2015.10 We participated in "MECT2015　MECHATRONICS TECHNOLOGY JAPAN2015".Thank you very much for coming to our booth. 2015.08 We've posted the latest of our product catalog. 2014.09 We introduced the automatic washing machine up to date.